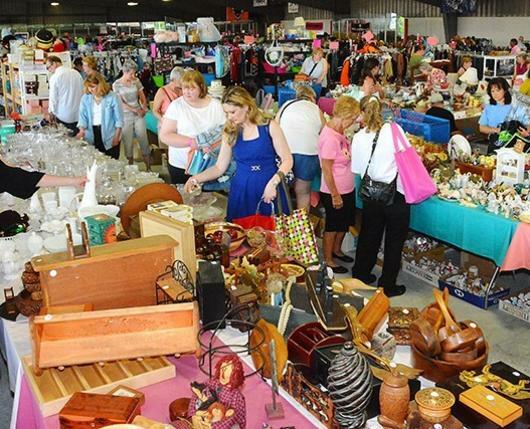 The 45th annual Boutique at the Rink is a sale of new and gently used clothing, household goods, antiques, collectibles, vintage clothing and accessories, toys and high end boutique items. Tuesday, May 28, Premiere Night, 4 p.m. – 9 p.m.
Wednesday, May 29, Full Price Day, 10 a.m. – 8 p.m.
Thursday, May 30, Half-Price 10 a.m.– 8 p.m.
Friday, May 31, Half-Price 10 a.m. – 8 p.m.
Saturday, June 1, Bag Day, 8 a.m. – 2 p.m. Accepting and selling these new and gently used items: vintage and fine clothing, accessories, shoes, lingerie, jewelry, toys, linens, housewares, antiques, collectibles, and sport equipment. (no furniture, computers, luggage, electronics or books) All proceeds are donated to the Cancer Support Community and St. Luke’s Hospice and Cancer Center.